This ever improving modern fishery is proving to be a big hit by all who fish there. There are now seven extremely well stocked pools. Valley for carp to 20lb, tench to 5lb plus roach and rudd to 1lb and stacks of skimmers. Dragonfly has carp to 18lb, bream to 6lb, tenchto 5lb, ide to 2lb, plus roach and rudd to 1lb 8oz. Kingfisher has carp to 15lb and ide to 1lb. Duckis also mainly carp to 23lb plus lots of skimmers. 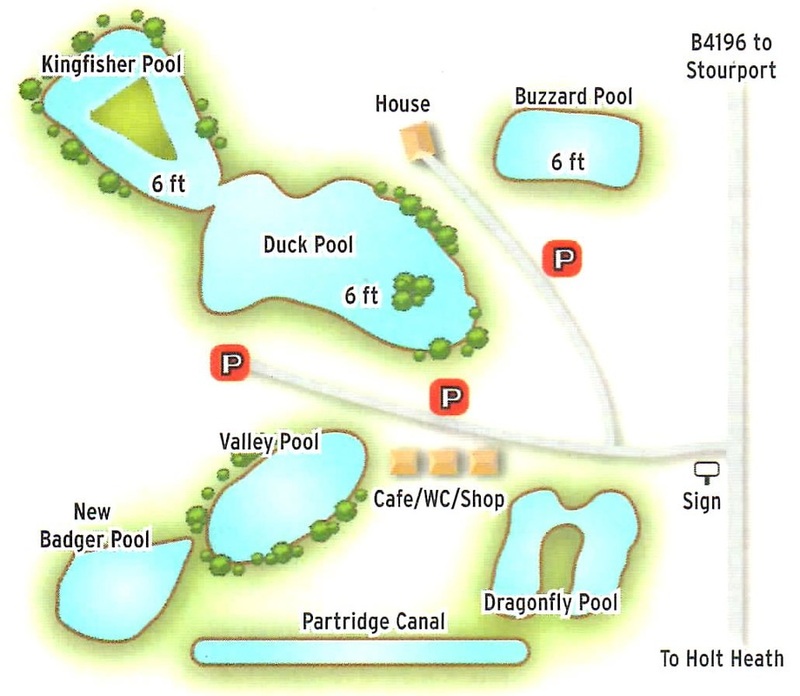 The new Badger Pool has carp to 27lb and all the above species plus crucian carp.Partridge is a ca nal type venue teeming with ide to lib and small carp to 5lb. 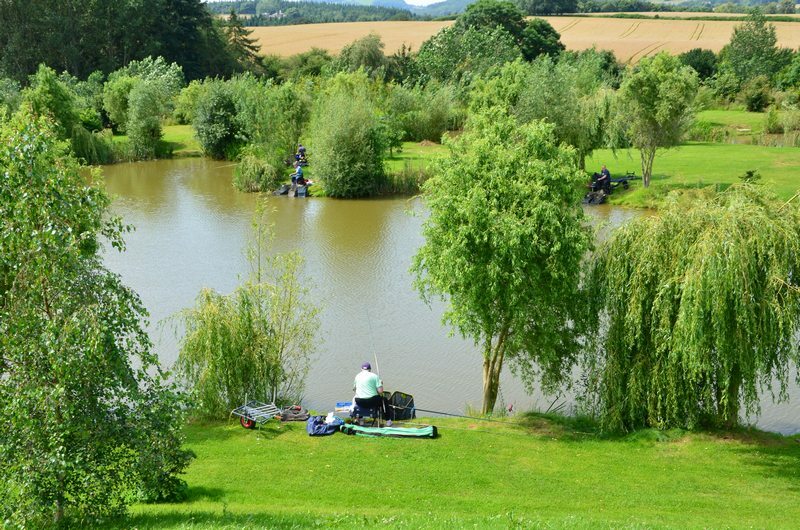 Float fishing scores exceptionally well at this superb fishery. Try soft pellet or corn,over smaller pellet feed, for large catches of carp. Paste is another sure winner here but it needs to be warm to get the best out of this bait. Float fished maggot or caster will account for every species here, including carp. Just pick a swim, feed regularly and the fish will come to you. There's no need to fish far out. Tickets from the tackle shop on the way in. Fishing from 7.30am to 7pm. Barbless hooks only. Cafe on-site. No night fishing. No groundbait. No meat of any description. From Stourport-on-Severn town centre head south on the B4196. After two miles look out for the grey bollards and red post box on the right. and turn in here to the fishery.